Whether you are new to email marketing and not sure how to get started, or you're currently broadcasting but find that your ROI is not what you expected or stagnating, allWEBeMAIL will analyze your business and objectives then recommend a suitable campaign strategy. In simple terms, we will help you determine email styles and email content and delivery cycles. Understanding that each client has different audiences or markets, we design specific emails and campaign such as Newsletters, Banner Advertising, Prospecting, Retention, and more. Alternating multiple formats or email styles has shown to keep your audience interested in what you have to say. Also, one style may appeal to one person but not to another. Emails need to balance 'offensive' word content which triggers spam filters but are needed to 'Sell' or 'Attract' an audience. allWEBeMail will work with your In House designer or Ad Agency to incorporate your content design into our templates. 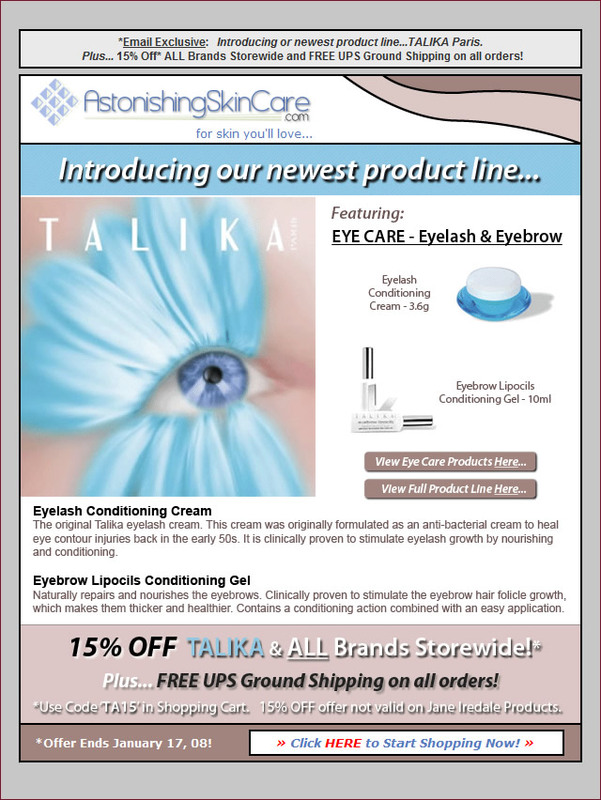 "Newsletter" Style Email used as first of two in rotation. 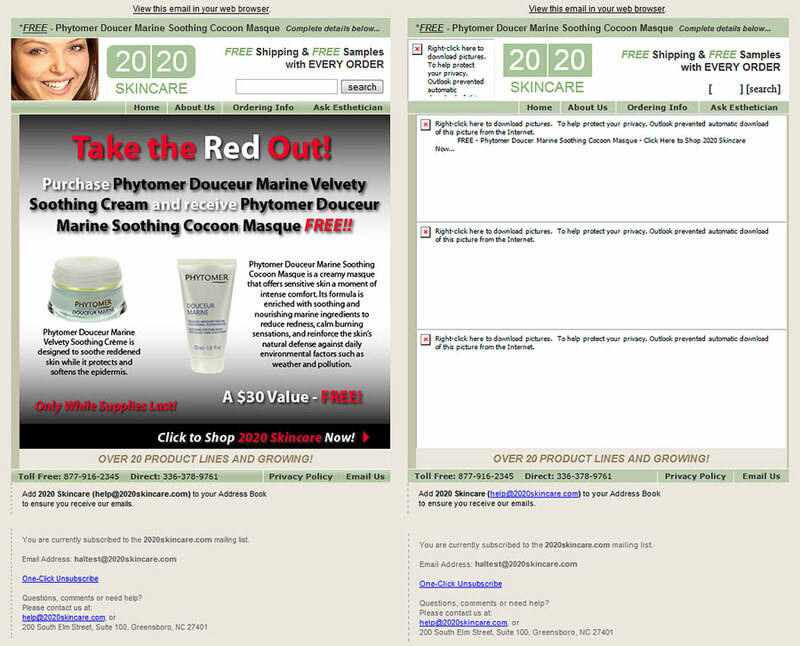 "Sell" Style Email used as second of two in rotation. We design emails to have healthy balance of Text & Image content so not trigger spam filters (Gone are the days of an 'image only' email). Our email template designs include HTML based 'elements' such as headers, footer, menus, borders and colored backgrounds designed to imitate your corporate brand and be easily recognizable by your audience, but more importantly show enough content when images are blocked. Furthermore, we include as much HTML Text content as possible for same. Currently, email readers do not adhere to any HTML standards for email marketing. Sadly, they all use varying subsets of codes. Resulting from extensive trial and testing, our email coding is optimized to conform to and display respectably in all email readers. Email code and image sizes are optimized to obtain the maximum quality while maintaining the smallest size necessary to allow for fast downloading and opening. Example of coding & design techniques. Blocked Images - email example with images "OFF" as blocked by ISP or email client setting and with detailed description of the design & coding elements. Unblocked Images - same email example as above except with images "ON"
Side by side Comparison - the above 2 examples (Image "ON" and "OFF") together for simplicity. 'Above the Fold' Preview with Blocked Images - see how the email looks in a web client Preview Pane and with images "OFF". Sender and ad content is still identifiable. 'Above the Fold' Preview with Images - same email example as above except with images "ON"
We've prepared the list, scheduled the campaign, and delivered to their inbox...but our work didn't stop there. In today's busy and complex world, coupled with a person's inbox cluttered with legitimate email and unfortunate spam, we only have a brief moment to grab a readers attention and compel them to read your message. 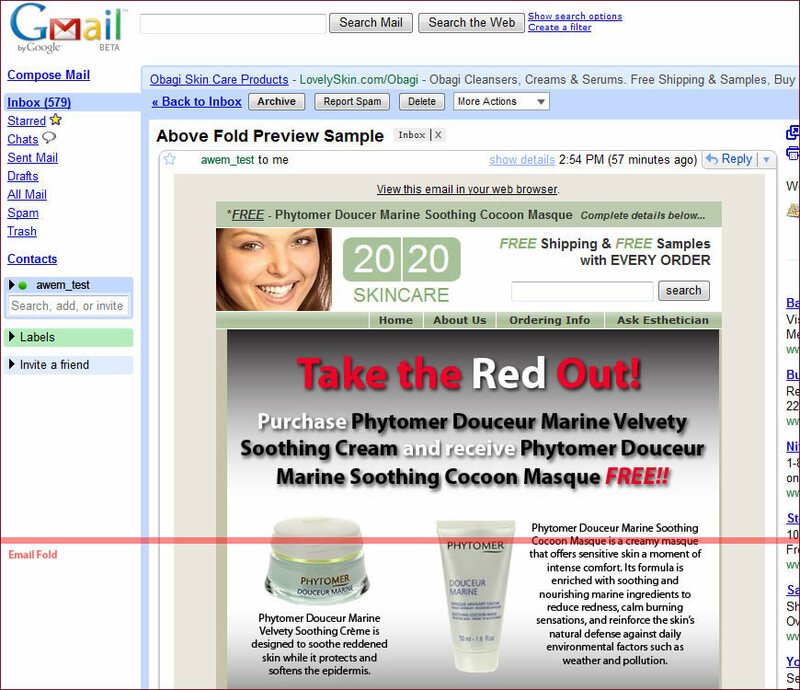 Email readers have a Preview Pane and/or area which show only a limited top view of an email's content. We design emails to present an important portion of ad content and/or a detailed summary coupled with your branded header. The email's physical size is optimized to present as much content in the reader and open window, minimizing the need to scroll. Our designer have a broad range of styling skills to appeal to your audience or corporate style, whether is be conservative, high impact, playful and humorous. Plus we're not afraid to mix it up in order to keep your audience interested.